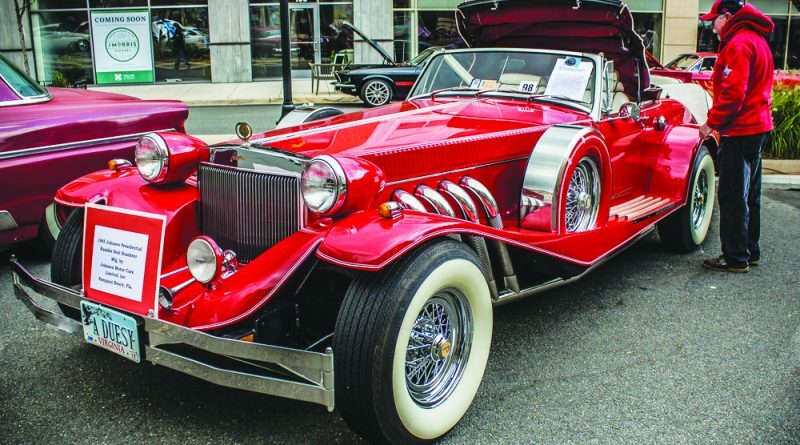 The streets of downtown Leesburg will be lined with classic creations of steel and chrome on Saturday. This will be the 30th year for the annual car show sponsored by the Leesburg Business Association and the Northern Virginia Rods and Classics Car Club. The streets will be closed to traffic from 5-10 p.m. as the historic district is converted to a large outdoor showroom featuring every vintage of antique cars and custom cruisers. The rain date is Sunday, June 5. Proceeds from the show will benefit the C.S. Monroe Auto Body and Graphic Arts Department. Automobiles made in 1990 or earlier are welcome to participate. Staging will take place at 4 pm at Tuscarora High School. The cost to participate is $20. For additional information, contact Carolyn Craig at 703-864-1665.